Today has been a fairly non-eventful day in the weightloss front. Cold cereal for breakfast and leftovers for lunch. But how about this scrumptious dinner? 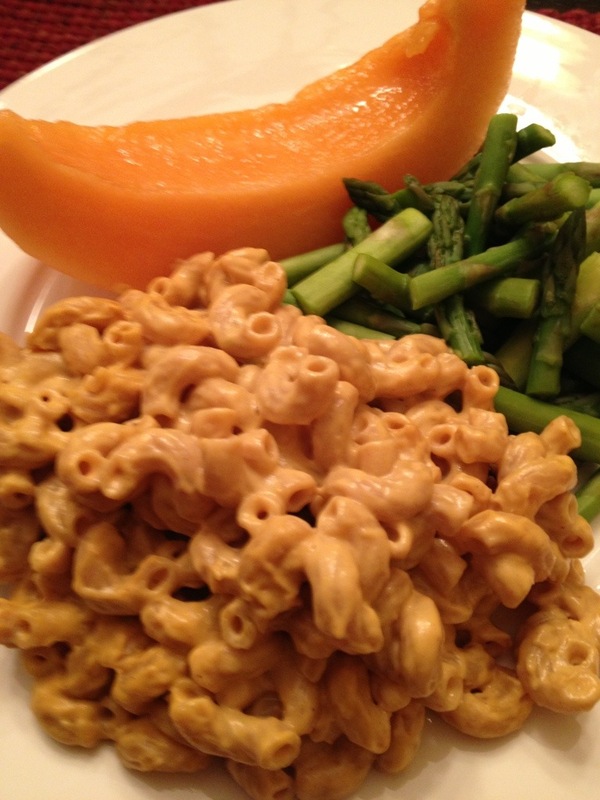 Totally vegan “cheesy” macaroni, fresh asparagus and fresh cantaloupe. It tastes surprisingly like that Mac and cheese comfort food without the guilt and fat!